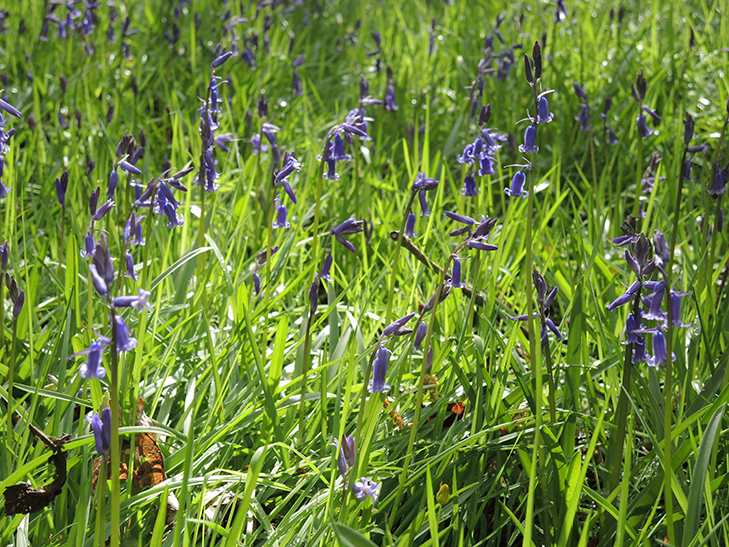 In larger gardens with damp woodland, we often plant thousands of our native bluebells Hyacinthoides non-scripta. More refined and elegant than their invasive Spanish cousins (H. hispanica) their scent is subtly exquisite yet travels far. 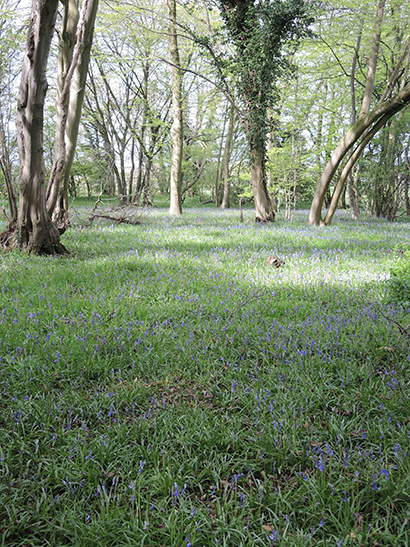 Towards the woodland margins and in more open areas, wild violets and primroses further increase the magic of mid spring.